Fork-tender beef and mushrooms with egg noodles. 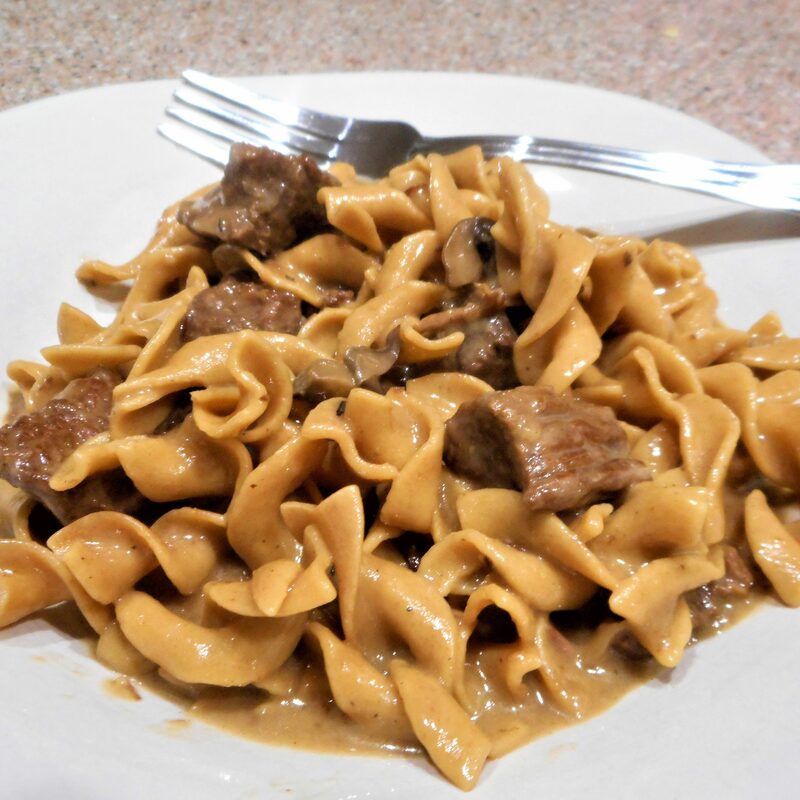 This recipe is written using the Instant Pot, but I prefer to brown the meat in an iron skillet before adding it to the pot. Deglaze the skillet with a portion of the broth. 1. Turn on a multi-cooker (such as Instant Pot(R)) and select Saute function. Heat oil for 1 minute. Add onion and 1/2 teaspoon salt; cook and stir until onion begins to soften, 3 to 4 minutes. 2. Season beef with 1 teaspoon salt and pepper. Add to the pot. Cook and stir until browned evenly on all sides, about 2 minutes. Add garlic and thyme; cook until fragrant, about 30 seconds. Pour in soy sauce. 3. Stir mushrooms into the pot. Stir in flour until evenly incorporated. Pour in beef broth and remaining 1/2 teaspoon salt. Close and lock the lid. Set timer for 10 minutes. Set to high pressure according to manufacturer’s instructions, 10 to 15 minutes. 4. Release pressure carefully using the quick-release method. Open pressure cooker; add egg noodles. Seal and bring to high pressure again, about 5 minutes; cook for 5 minutes. 5. Release pressure naturally according to manufacturer’s instruction for 5 minutes. Release remaining pressure using the quick-release method. Open pressure cooker; stir in sour cream.